Improve sleep efficiency. In other words, you’ll cut the time it takes to fall asleep in half, and cut the number of nighttime awakenings—and their duration—in half. Improve sleep quality. You’re likely to sleep more soundly and wake up feeling more refreshed in the morning. Sleep moderately longer, especially if you’re young or middle aged. If you’re like I was, the biggest barrier to trying cognitive behavioral therapy (CBT) for insomnia may be the belief that nothing can improve your sleep. This is actually a logical way of thinking if you’ve had insomnia for a long time. After years of trying to improve your sleep by means you’ve read about elsewhere—chamomile tea, talk therapy, relaxation exercises—and getting poor results, why would your expectations for CBT for insomnia be anything but low? Hope is hard to come by after years of insomnia and failed attempts to improve sleep. Gearing up to try yet another insomnia treatment can reawaken hope. But it also opens up the possibility of failing again. Just how comfortable is that? Besides, undertaking CBT for insomnia involves going through a process—and that process may not sound particularly quick or easy. It can be hard to silence these objections and commit yourself to another insomnia treatment. The prospect going through sleep restriction (the part of CBT for insomnia that involves curtailing your time in bed and observing prescribed bed and rise times) may make you uneasy. Sleep restriction was a red flag for me. What if, during my allotted time in bed, I never fell asleep at all? This was scary to contemplate. 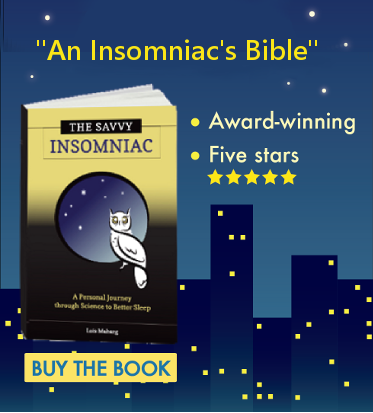 As described in Chapter 8 of The Savvy Insomniac, my sleep anxiety was sky high when I went through treatment and drove me to do some pretty strange things. No doubt my fear of sleeplessness made the first few days of treatment harder. But the gains I made were quick in coming. By the fourth night of treatment, I was falling asleep at my designated bedtime and sleeping right through the night—a pattern that was touch and go for a while but has held up very well over time. My sleep anxiety is now a thing of the past. Take some advice from a lifelong insomnia sufferer who dithered around for 11 years longer than she should have before finally taking the plunge: just do it. CBT for insomnia is typically administered by a trained sleep therapist over the course of 6 to 8 weeks. This is still the preferred form of treatment for the many insomniacs who like the idea of face-to-face coaching (and have insurance covering treatment or can afford to pay for it themselves). Some behavioral sleep medicine professionals offer a condensed form of CBT-I called brief behavioral treatment for insomnia (BBTI). Therapy takes place over 4 weeks (rather than 6 to 8) and involves two face-to-face meetings with the therapist and two follow-up phone calls. Read more about it in this blog post about BBTI. The SHUTi program ($135 for 16 weeks of access and $156 for 20 weeks of access) was recently shown in a clinical trial to get results equivalent to those obtained in standard face-to-face CBT-I. A clinical trial of the Sleepio program ($300 for 12 months of access) is under way right now. 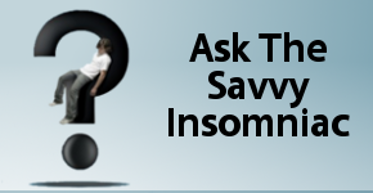 The CBT for Insomnia program is a 5-session program created by Dr. Gregg Jacobs, author of Say Goodnight to Insomnia, for the nominal cost of $44.95. Insomnia sufferers, suspend your disbelief and try this out. I can’t promise it will relieve your insomnia—but the odds are greatly in your favor. What doubts do/did you have about CBT for insomnia? Great post, Lois. The website looks fabulous. Thanks, Sheila, for your continuing interest and support!